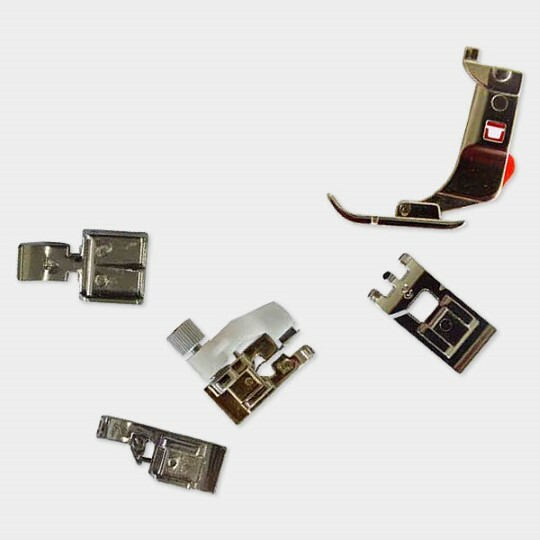 The CB hook system ensures perfect stitch quality and thread tension,and is easy to clean. With the 11 most important stitch types and a manual multistep buttonhole, the B 215 Simply Red meets all your basic requirements. The powerful motor (900 stitches per minute) boasts high needle penetration power, so you can also sew thick and multi-layered fabrics. The B 215 Simply Red is well equiped with sewing tools, including 5 presser foot soles, and grows to keep pace with your skills. You can individually upgrade the basic model with a wide range of Special accessories, thereby expanding your sewing options. 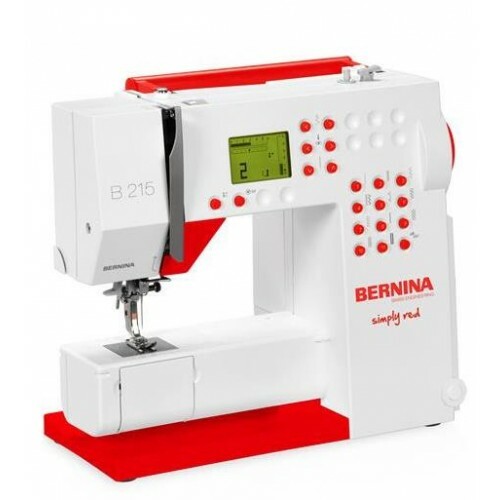 Right from the start, the BERNINA 215 lets you enjoy the optimum convenience of a Swiss precision sewing machine that’s revealed particularly in the details: for instance, its built-in needle threader which lets you rethread the machine when changing spools in the blink of an eye. This saves time and is a genuine help. 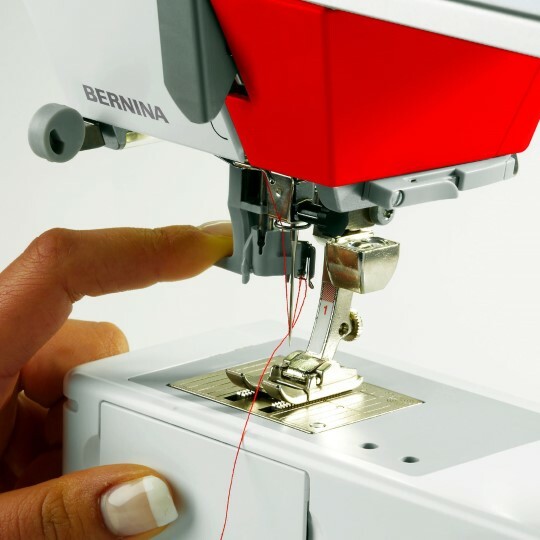 The BERNINA 215 Simply Red proves that even state-of-the-art sewing-machine technology needn’t be complicated, and leaves nothing to be desired as an easy-to-operate sewing machine. Ideal for beginners or occasional sewers! 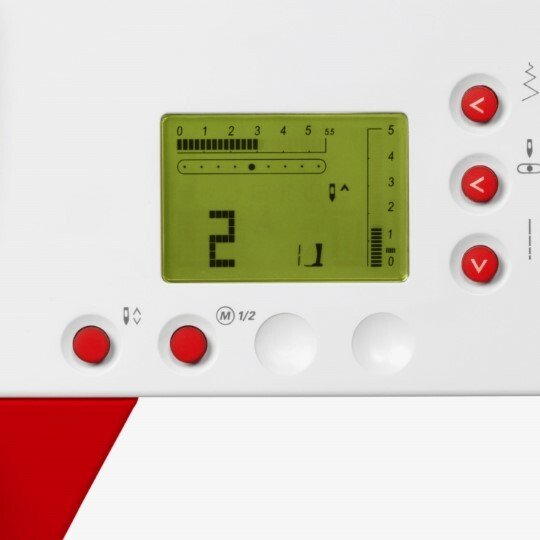 At the touch of a button, the BERNINA 215 Simply Red lets you set your needle to stop up or down in the fabric. 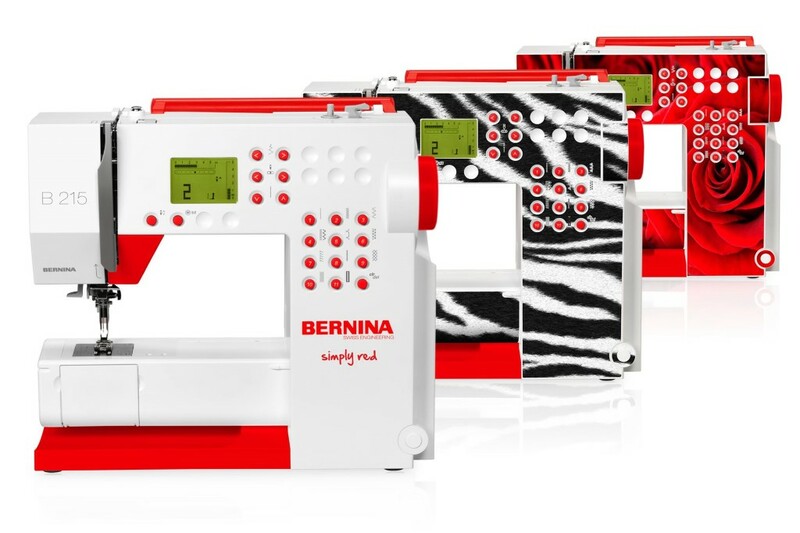 What’s more, the sewing speed of the BERNINA 215 Simply Red can be reduced to half-tempo. You always maintain control over the sewing speed and the position of the needle when the sewing process is stopped. Since sewing speed can be adjusted to your personal abilities, even beginners can expect high-quality results. 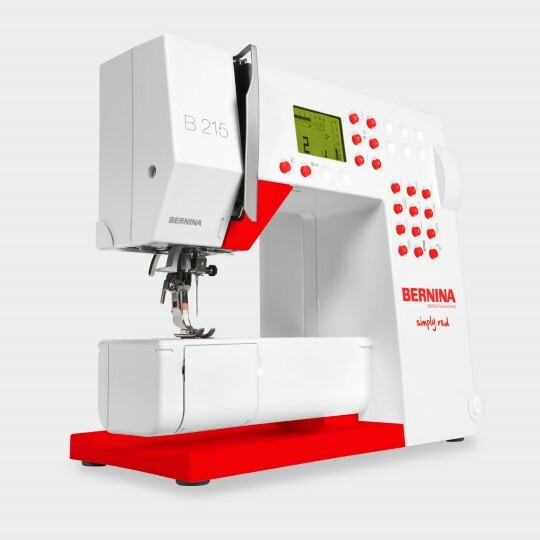 The BERNINA 215 Simply Red offers you a range of the most commonly used practical stitches which are simply set at the touch of a button. Large, clear icons next to the direct-selection keys display the stitch in question, so that you can change the stitch at the press of a button. 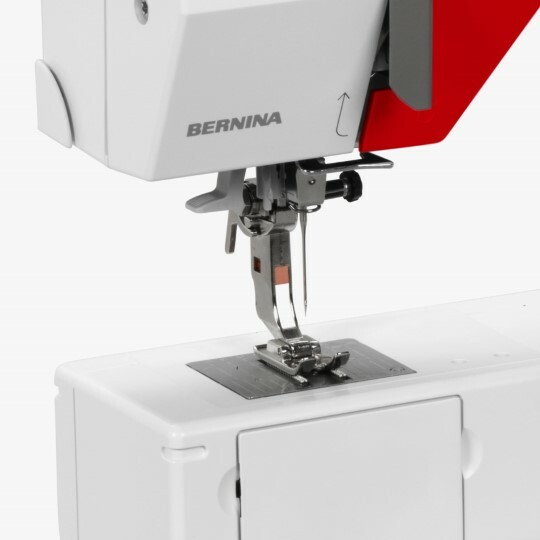 Thanks to this simple direct stitch selection, the BERNINA 215 Simply Red is a uniquely user-friendly machine – a combination of versatility and simple handling that will give you years of sewing enjoyment. 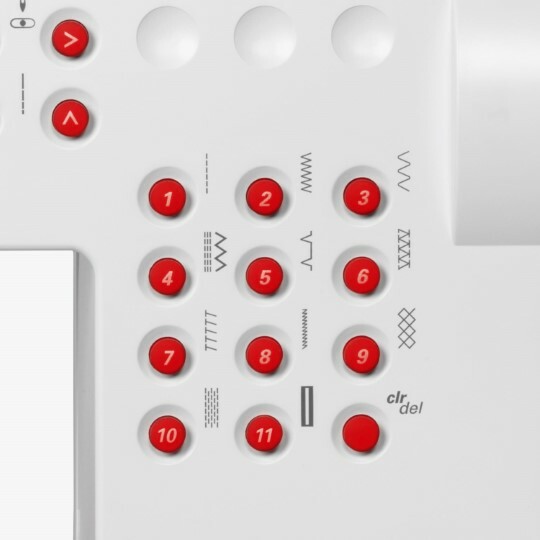 All the more so, as the BERNINA 215 Simply Red is a cinch to upgrade with additional special accessories, allowing its potential applications to grow along with your own skills and expectations.